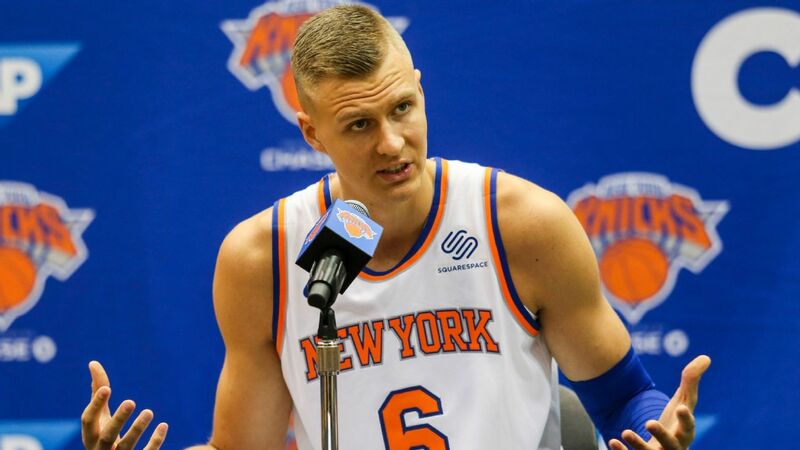 Only hours after it was reported that Kristaps Porzingis was feeling as though he was losing direction with the New York Knicks, and wanted to be traded, the Knicks agreed to a deal with the Dallas Mavericks sending to send the Unicorn packing. In exchange for Porzingis, Courtney Lee, and Tim Hardaway Jr, the Knicks will receive Wesley Matthews, Dennis Smith Jr., DeAndre Jordan and two future first-round draft picks in an effort to free up cap space for this summer’s upcoming free agency market. ESPN’s Adrian Wojnarowski reported that Porzingis and his brother/agent Janis met with Knicks’ upper management earlier today and expressed their frustration with the franchise’s losing atmosphere, and the overall dysfunction of the organization. Porzingis has been sidelined for a year with an ACL-injury that happened in the peak of his All-Star season. Without him, the Knicks have been struggling greatly with an abysmal record of 10-40 for the season. While this may be a sad development for Knicks fans, I’m happy to see Porzingis moving on. He’s such a unique, and incredible talent that I have truly been disappointed to see him playing for a team who (in my opinion) has little interest in winning. Dallas will be a solid fresh start for Porzingis as their organization has restructured recently, and with Dirk Nowitzki‘s career sun-setting, Porzingis is a perfect up and comer to fill Nowitzki’s shoes. If Porzingis chooses to stay, that is. He does become an unrestricted free agent this summer so while he will likely perform his due diligence getting to know the Mavericks’ organization, he could very well be this summer’s most-eligible bachelor so there will likely be other tempting offers on the table to consider. The Knicks’ future is a little less clear, but it seems like they’re making good moves by cutting their loses quickly making room for rebuilding. Perhaps the stigma of a losing culture has finally gotten to them, and they’re ready to get to work. They certainly have the big-city attraction to lure in high-profile free agents on their side so this will be an interesting developing story to follow. Best of luck to the Unicorn as he heads to Texas.